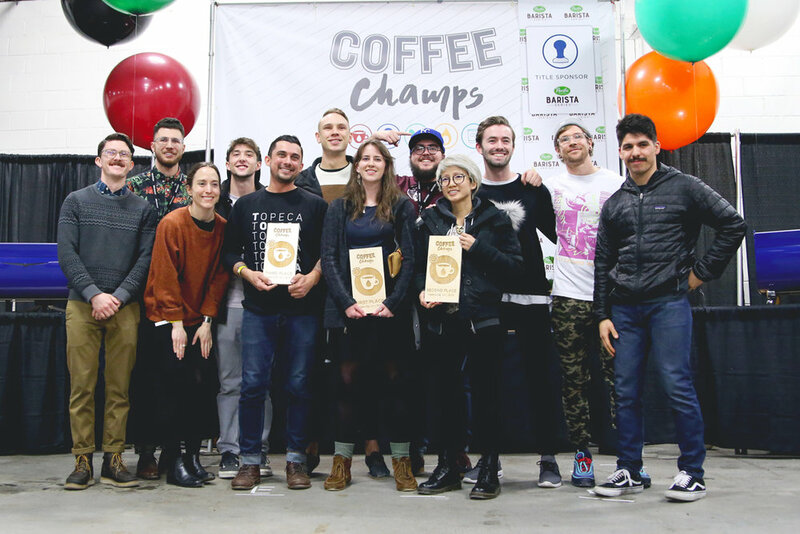 US Brewer’s Cup highlights some of the premier brewers in specialty coffee. Competition is split into three sections: Audience Service, Compulsory Service, and Open Service—two of which are scored. Cody finished with a total score of 156.06, placing him comfortably within the top twelve qualifying competitors. Vienna also enjoyed setting up in the Roaster Village section of the event space, showing off some prototypes of our exciting new packaging redesign that will be completed soon! Tonight, at our Regas location, you can taste Cody’s competition coffee and hear about why we chose to compete this year. Starting around 7:00, he’ll be brewing his coffee and hanging out with anyone who wants to come! Nationals are March 15-17 in Kansas City, MO. Stay tuned for more info on ways you can support Vienna in KC!